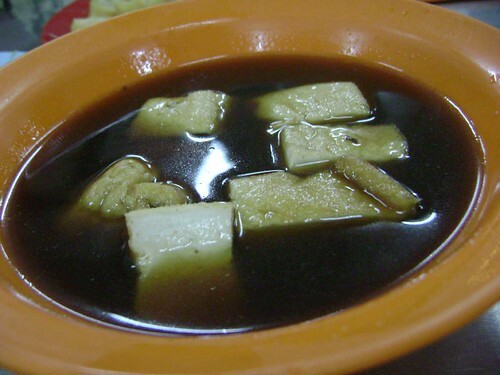 A hot bowl of Bak Kut Teh is coming out! Yo, you can observe that's hot until have many vapour! Inside the bowl contain everything about pork and somethings about fish too! 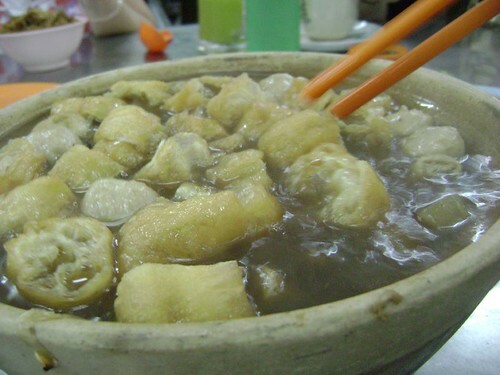 Like fishballs and many more! 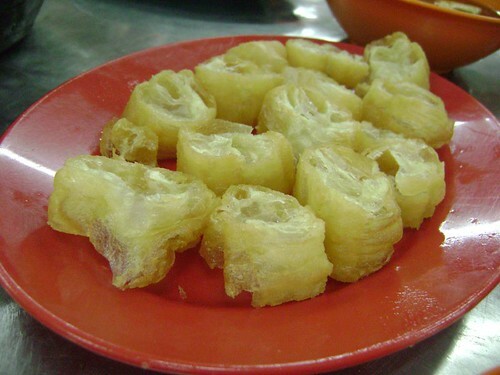 This is just like cucuk and don't know the actual name. 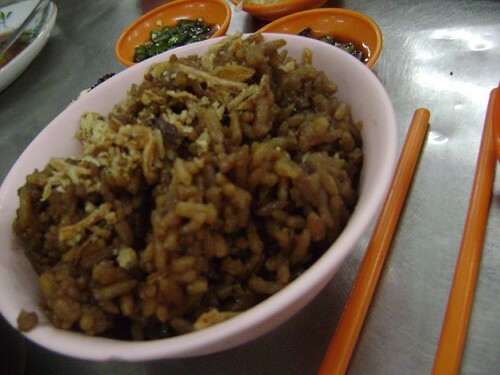 You should put it inside the bowl and it will become so tasty. Just ike we mixed it with the bowl and stir it. A difference style produced! Agree? 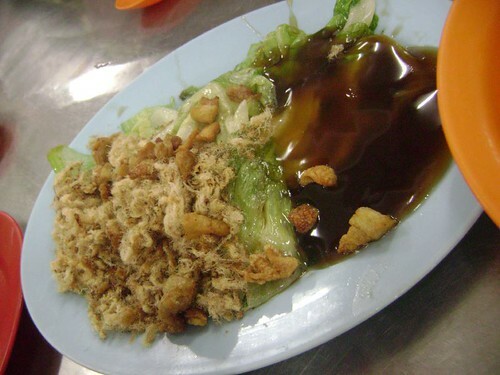 Eat Bak Kut Teh must have to eat a plate of oil vegetables that put with soya ketchup and some sauce of western. 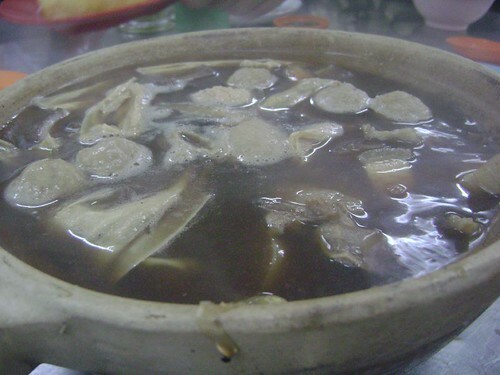 This is a bowl of 'tao gua' that need to put inside bak kut teh also! Nice to eat!